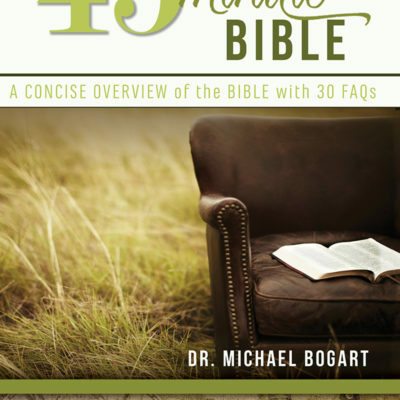 The 45-Minute Bible gives a concise, factual, non-sectarian and user-friendly overview of the Bible. While sacred to Christians and Jews and a subject of interest to many others, the Bible is often misunderstood and its core message frequently neglected in contemporary society. 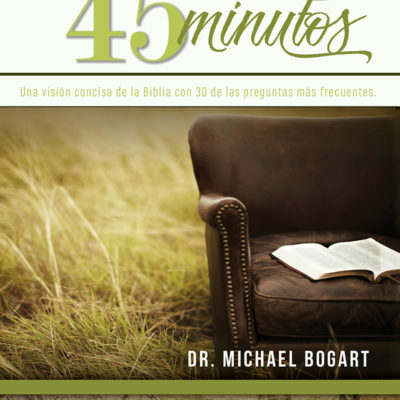 The 45-Minute Bible gives a concise, factual, non-sectarian and user-friendly overview of the Bible. While sacred to Christians and Jews and a subject of interest to many others, the Bible is often misunderstood and its core message frequently neglected in contemporary society. 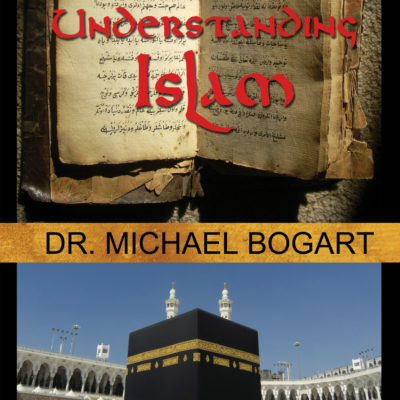 This book, written by pastor and veteran educator Dr. Michael Bogart, will be of interest to a wide range of people who are curious about this ancient book. 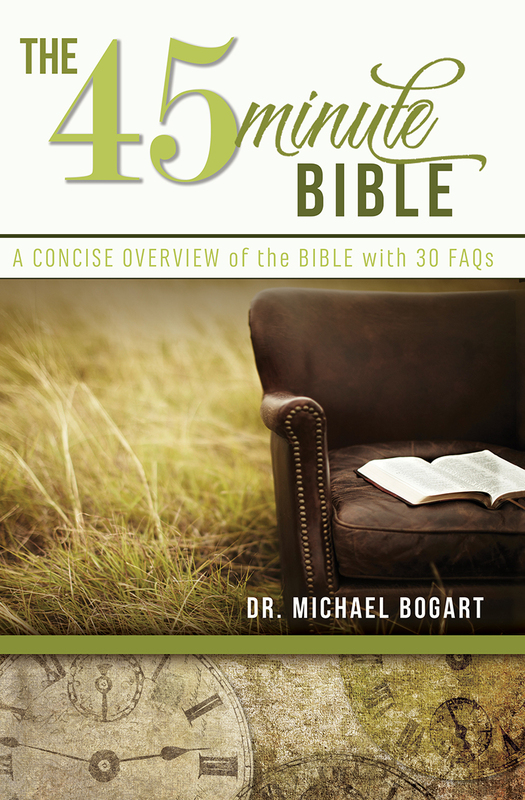 30 frequently-asked questions are answered in the final section of the book for quick reference. Teachers, Bible study leaders and all sorts of people interested in the Bible will find the book to be helpful and engaging. I really like the video I thought it was easy to comprehend and I loved how it just catches your attention. I would definitely recommend this video to other individuals who do not comprehend as well. As an overview of the bible’s contents, this video allows the viewer to identify different sections of the bible that may inspire a desire to delve deeper, through study. Although in a summary format, watching the video will lead to a deeper appreciation of the bible and its history. Finally, the speaker is concise with his words which are clear and easy to follow. Throughout his narration, visual aids are illustrated very well. I loved the video helped me understand the way the bible was really created/told. I feel like this was a great way to reach out to people and help they understand this book and so people in modern days will have a better look on the bible. Instead of being on Facebook and be like I think Moses killed the Pharoh, then lead his people to freedom. This video helps being get the real facts on the topic. I like how in the beginning there were real students with genuine answers to the questions given. 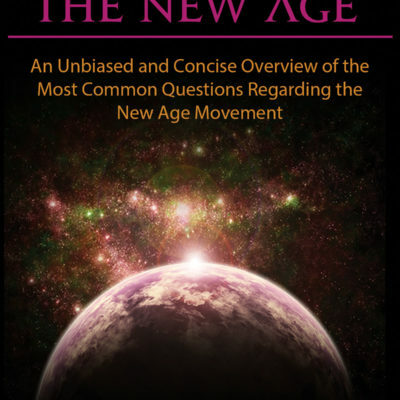 The information here was very eye-opening and I’m grateful I stumbled upon this video. This was a really interesting video, I really enjoyed watching the whole thing. Makes sense and also all of the words are readable which makes everything easier to understand. 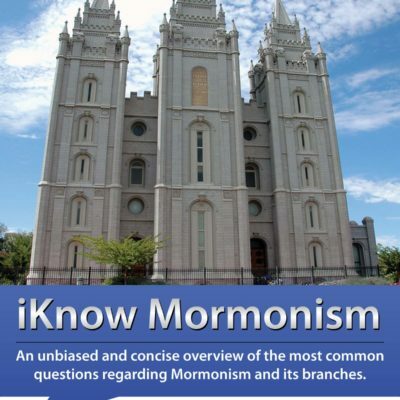 Very good information, I learned many facts and stuff I didn’t know. I enjoyed how you broke down the bible. I was able to better understand what was going in the bible with your video. Makes me want to better understand the bible and read it more often. Great video. It was a really good video. It gave me a better understanding of what the bible is about. In my opinion, it would be a better way to teach the younger ones a reflection of the bible. Info and personal perspective of things were interesting, but the presentation could be better. Material presented was very modern and kept things relevant to the present day. The video would refer to the modern day which made the Bible much more understandable. However, some of the material was given in more depth than other parts of the Bible. I feel as if the video would be much more concise if all of the information was given evenly and one wasn’t emphasized more than the other. Overall, the graphics and animations kept a very good flow throughout the video and allowed the video to transition from topics evenly. The video itself was created very well. I really enjoyed the different images that were portrayed throughout the video, it would keep my attention and help me visualize certain parts of the Bible. I also enjoyed how the different subsections were broken down to give a great overview of the Bible. It was clearly explained and gives people the just of what the Bible is and will help those that want to read the Bible be more understanding of it before they begin reading. It is a great video to watch if you want the main points of the Bible to be presented to you. Watching this video really helped me better understand the bible. I liked how you broke down the bible into pieces to simplify what is in it unlike others who just ramble on. However, I feel as if the video could be better edited and a little more attention grabbing. 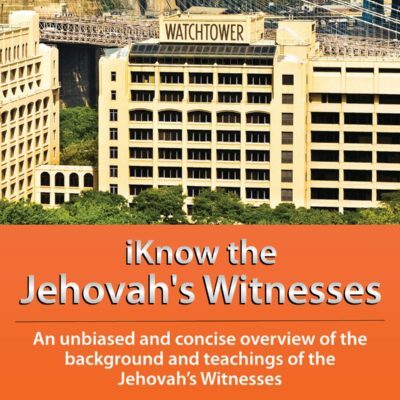 The Author presents biblical information in a refreshing and impartial perspective for those of us that prefer to hear the facts in order to later form our own speculations.